Whether you make this chicken in the Instant Pot or Slow Cooker, it comes together in no time and is packed with flavor! Enjoy as is, or serve in burritos, tacos, or tostadas! This past week with my hubby travelling, I wanted a meal that I knew my kids would enjoy, but wouldn’t require a lot of effort on my part. If you have kids, you understand my thought process. Nothing is worse than putting tons of effort into dinner and hearing “it’s okay” or “I’m not a huge fan, but I will eat anyways”. Am I right?!?! Haha! Well, one of the meals I KNOW my kids love is their tostadas. I think its because of all the toppings they can choose, but a win is a win! I didn’t have my normal seasonings on hand, and I had forgotten to take chicken out of the freezer earlier, so I turned to the Instant Pot. Have you jumped on board the Instant Pot craze yet? 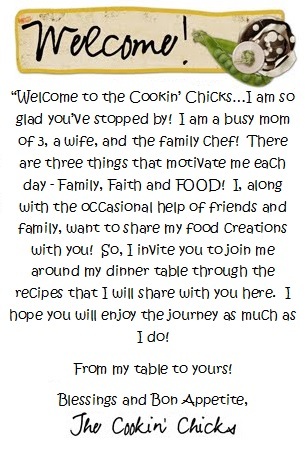 I highly recommend doing so if not, but I have also included slow cooker directions below if not! 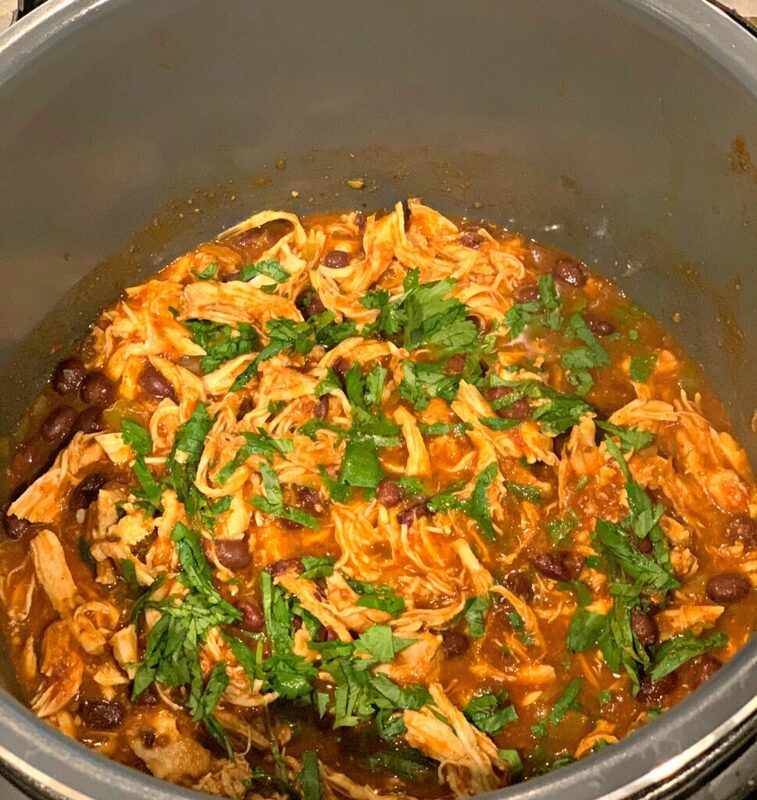 By simply tossing a few on hand ingredients into my Instant Pot, I had this chicken ready to go in less than 30 minutes. 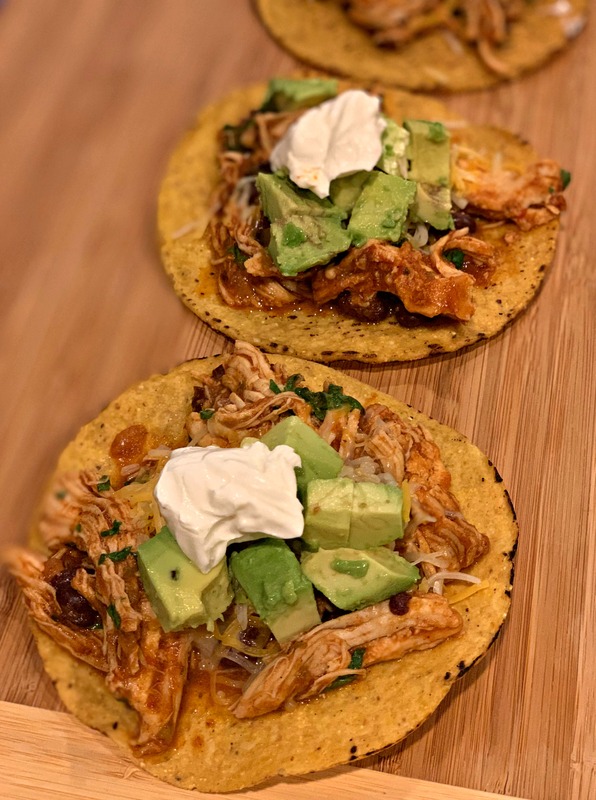 I chose to serve ours as tostadas, however, this chicken is great to use in tacos, burritos, nachos, or even by itself! The possibilities are endless! Since this includes beans in the recipe, you can add some rice to the side and call it a compete meal! 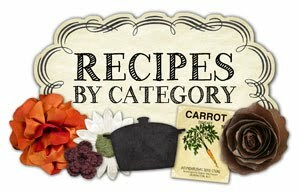 Some topping options are chopped avocado, tomatoes, sour cream, cheese, onions, or bell peppers! However you choose to enjoy this, you’ll love it! Great for serving large crowds and freezes perfectly if you have leftovers! 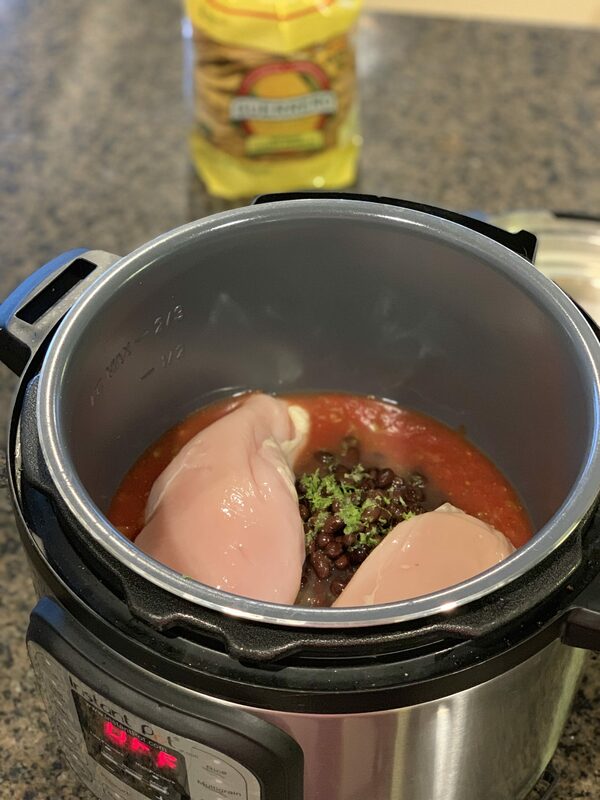 In your Instant Pot, add the salsa, taco seasoning, lime juice/zest, chicken broth, and black beans. Stir to combine and place the chicken breasts on top of mixture. Close lid and set to manual, high pressure, 15 minutes. Be sure valve at top is in sealing position. Once timer beeps, allow a natural pressure release for 10 minutes. After the ten minutes, do a quick release to ensure all remaining pressure is gone and open lid. Shred the chicken breasts using two forks, then stir in the cilantro. Serve as desired and enjoy!! 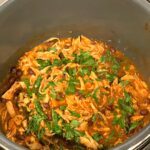 To make in the slow cooker, simply add all the ingredients to your slow cooker minus the cilantro. Cook on low for about 6-8 hours, or high for about 4 hours. 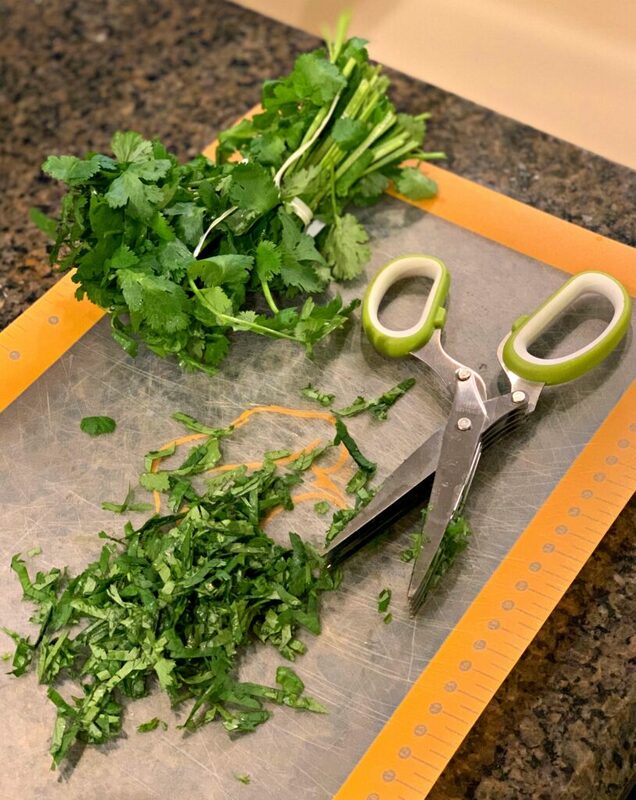 Shred chicken and stir in the cilantro prior to serving!